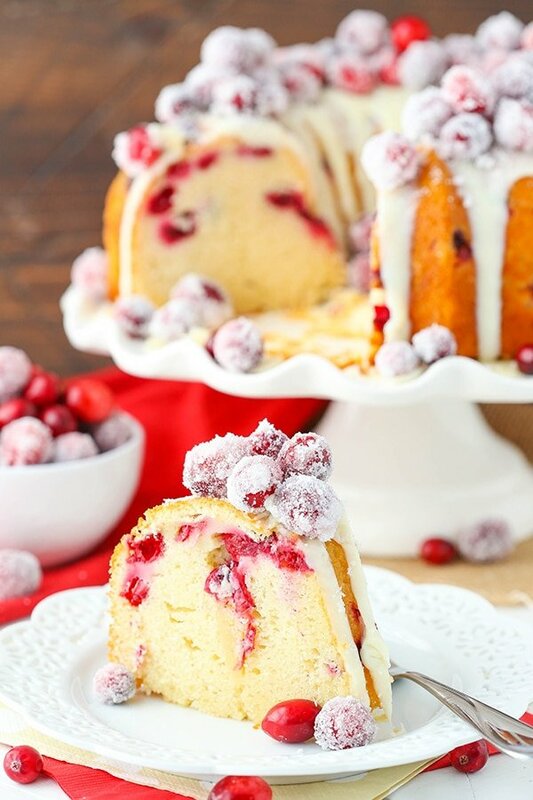 This Sparkling Cranberry White Chocolate Bundt Cake is a moist vanilla cake filled with fresh cranberries! 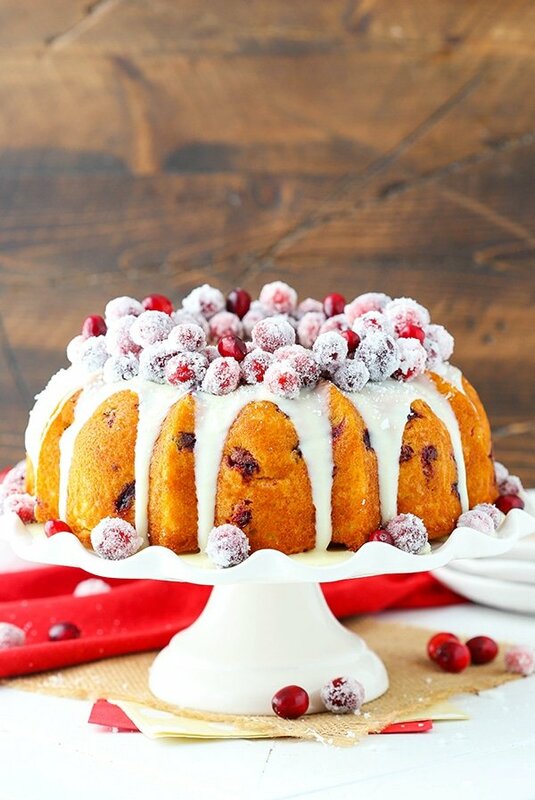 It’s topped with white chocolate ganache and sugar-covered sparkling cranberries for a cake that is perfect for the holidays! I hope you had a wonderful Thanksgiving holiday! We spent time with my family and enjoyed all the food. I didn’t actually do any baking myself and while I genuinely enjoyed all the food and pie, the store-bought pumpkin pie left me feeling like I really need to finally get my pumpkin pie recipe perfected. I started on it a couple years ago and haven’t gone back to perfect it yet. The flavor is just so perfect, I need to do it finally. But of course for now I’m onto gingerbread, peppermint and all things Christmas. 🙂 Do you think cranberries are more Thanksgiving or Christmas? I kind of feel like they are meant for both. Cranberries definitely go with Thanksgiving dinner, but sparkling cranberries are just so pretty and snow-covered like that they scream Christmas to me. What do you think? 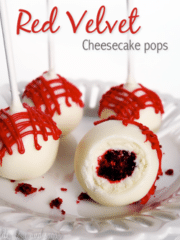 We are going to start pulling out our decorations and Christmas shopping this week (my cookbook would make a great gift! 😉 ) now that we are back in town and I am ready! It’s really the only holiday I decorate for and I love it. Bring on the sparkle! Speaking of sparkle, let’s get back to this cake. 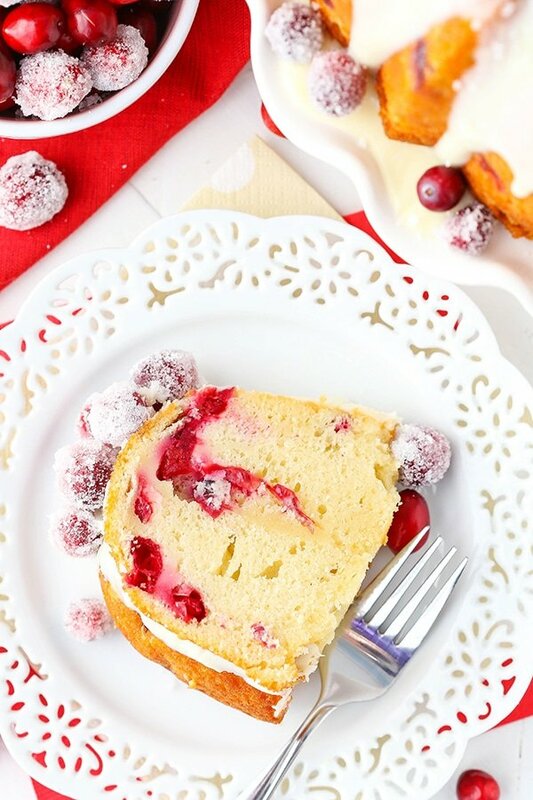 Sparkling cranberries are one of my very favorite things for decorating cakes. 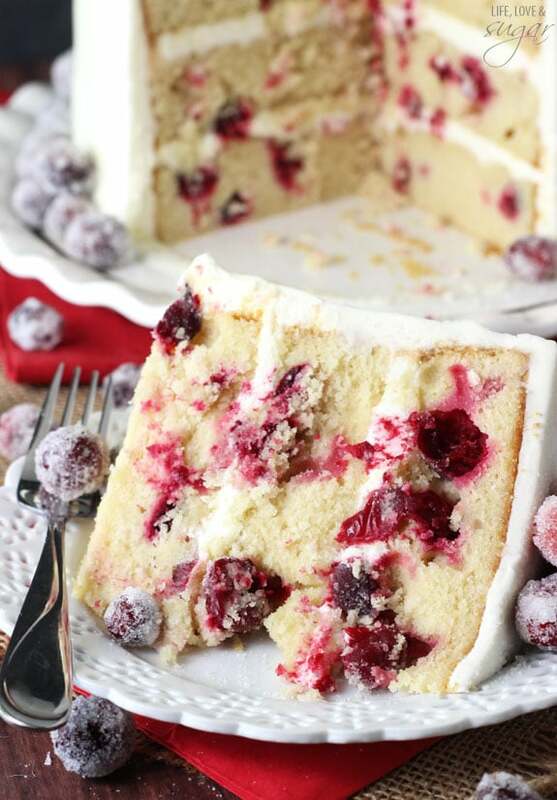 I’m a big fan of using food from the cake as decoration and the sugar-covered berries are the perfect way to do that here. 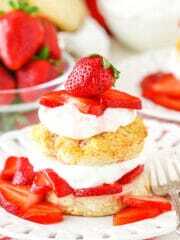 The cake starts off with a moist vanilla cake. It’s not as light and fluffy as some of my cakes, but it’s also not super dense. Kind of in between. It works great for keeping the cranberries afloat so they don’t all sink to the bottom of the pan. You start out by creaming the butter and sugar to get a fluffier cake so be sure not to skimp on the the creaming time. And because it’s the season of giving, I’ve got a great giveaway for you! 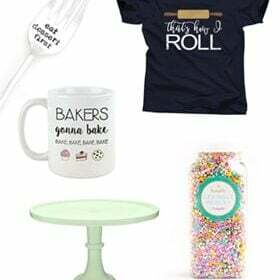 🙂 My friend, Julie, opened an online Home Decor and Gift ware store called Drops of Sunshine and put together a few fun things to give away. I got a cake stand from her store recently and can’t wait to use it! I included it in my list of great gifts for bakers, but I’m even in love with some of her clothing! So cute! Be sure to enter the giveaway below for the gift package or a $100 gift card and you can stock up! 🙂 Good luck! 5. Prepare a bundt pan with baking spray. Preheat oven to 350°F (176°C) . 6. In a large mixing bowl, cream butter and sugar together until light in color and fluffy, about 3-4 minutes. Do not skimp on the creaming time. 7. Add sour cream and vanilla extract and mix until well combined. 8. Add eggs in two batches, mixing until well combined after each. 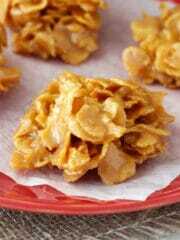 Scrape down the sides of the bowl as needed to be sure all ingredients are well incorporated. 11. Gently stir in the cranberries. 12. Pour the batter evenly into the prepared bundt pan. 13. Bake for 47-50 minutes. 14. 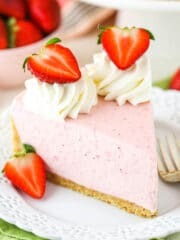 Remove the cake from the oven and allow to cool in the pan for about 15-20 minutes. 15. Turn the cake out onto a cooling rack to cool completely. 16. To make the white chocolate ganache, place the white chocolate chips in a large bowl. 17. Heat the heavy whipping cream until it begins to boil, then pour it over the white chocolate chips. Allow to sit for 2-3 minutes, then whisk until smooth. If it doesn’t get completely smooth, microwave in 10-15 second increments, whisking in between each increment, until smooth. 18. Set ganache aside to cool slightly. You want it to still be pourable, but thick enough that it won’t all just slide down the sides of the cake. 19. Drizzle the ganache over the top of the cake. Set cake aside. 20. Remove the sparkling cranberries from the syrup and roll in the remaining cup of sugar. 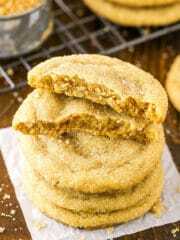 You’ll need to roll them a few times to get a couple layers of sugar on them. Set cranberries aside to dry for about 30 minutes to an hour. 21. 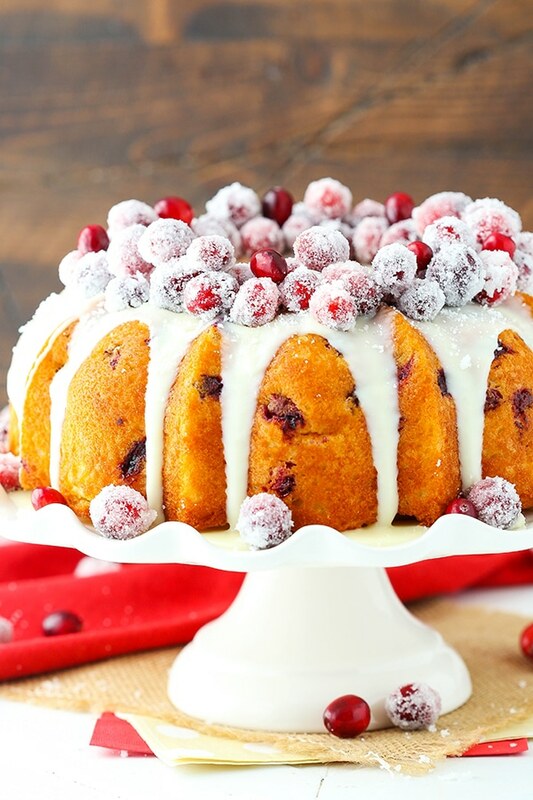 Top the cake with the sparkling cranberries. Refrigerate until ready to serve. This cake is going right on my to make list. Thanks! This looks amazing! I would love to try this on Christmas Day. 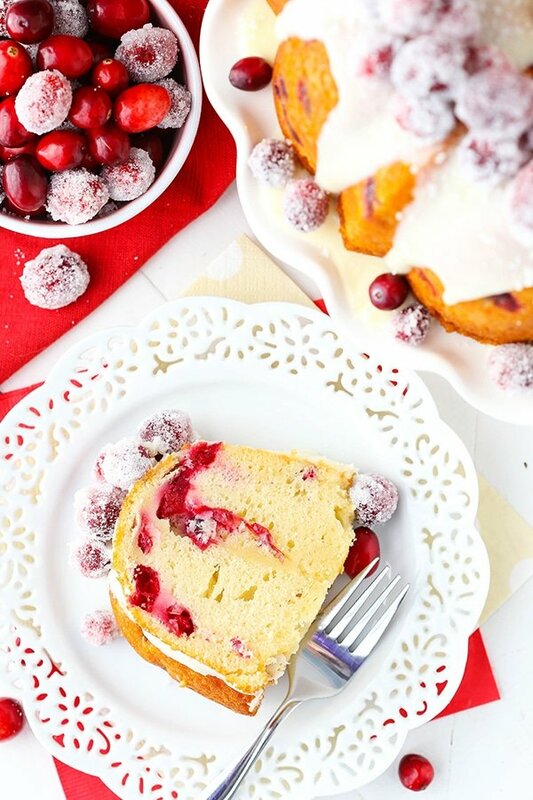 I love the idea of garnishing the bundt cake with sugared cranberries. I have been following you on Instagram and your photography is mouthwatering. I was wondering if this recipe would work in a mini bundt pan? Thank you. I’m thinking it should, but I haven’t tried it so I’m not sure how to advise on batter amounts or baking time. 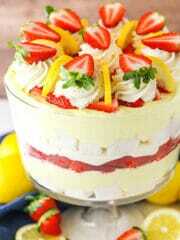 This cake is so gorgeous! 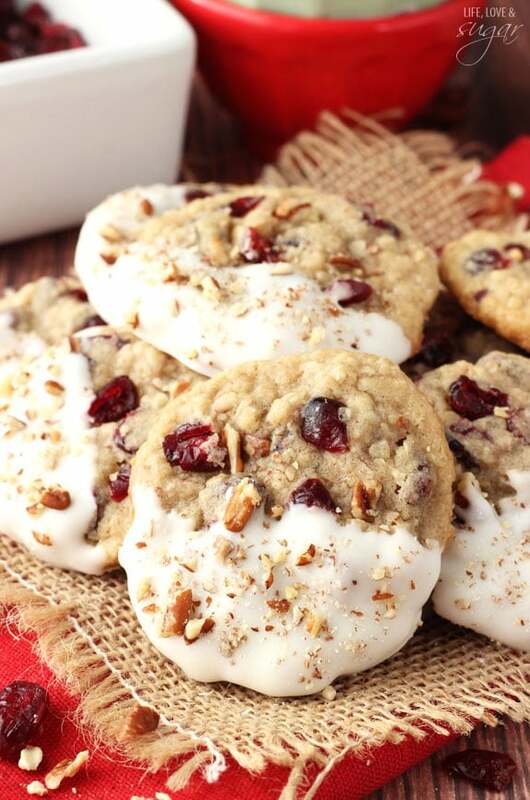 I love the combination of sparkling cranberries and white chocolate! Awesome! I made this cake and it turned out almost as pretty as yours. I was so pleased. In addition to this I have made Salted Honey Pie and Banana Pudding Icebox Cake and they were great also. I love to read your posts and appreciate that you share your faith with us. (I watched the service you had a link for that had Benjamin Watson.) 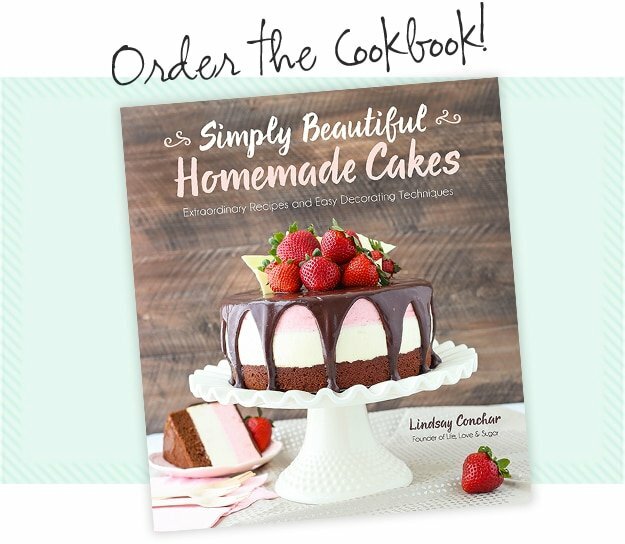 I have given my daughter a suggestion of your cookbook for a Christmas gift for me! Thanks so much Dolores! I’m glad you have enjoyed the recipes. 🙂 Those are all some of my favorites! I’m glad you got to watch the Benjamin Watson service – it was a great one. I hope you get the book and enjoy it! Thanks again! I made this and it is ons of the best bundt cakes I’ve ever had. 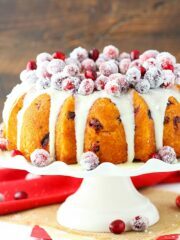 I liked the taste of de cranberries on top, the cake itself is lovely sweet, light en moist with cranberries. Thank you! If I make this cake the day before, should I make the ganache the day I plan on serving it? And how should I store the cake overnight? You can do it either way really. If you ganache it a day ahead, you’ll want to refrigerate the cake. If you do it the day of, you can store the cake at room temperature. Either way, I suggest serving the cake at room temperature and storing in an air tight container. Enjoy it! I bought several bags of cranberries last year, and I was wondering if I could you those instead of fresh? They’d probably be fine in the cake (you’ll want to defrost them and pat them dry) but they might not work well for the sparkling cranberries. 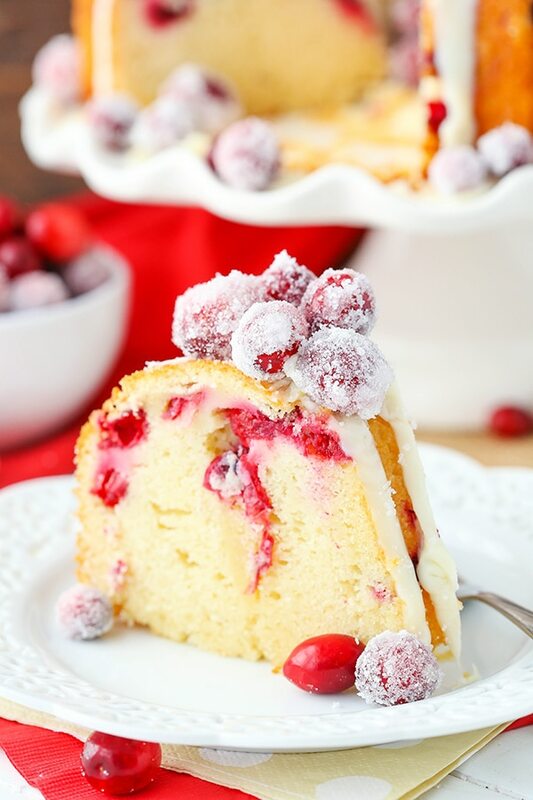 I was all set to make your Sparkling Cranberry layer cake and then I saw you made a Sparkling Cranberry bundt cake. I feel like the bundt cake would be much easier to make and the cranberries would hold up better in the heavier cake. Since you made both, what is your opinion? I have a wreath bundt pan that I think might work well. Thoughts? I used this pan and it was fairly full. The 12 cup should be ok, I think. Is 4 teaspoons of baking powder correct?? Seems like a lot. Anyway, we made the cake without the sugared cranberries or the ganache as she has a really good sauce for her recipe. The cake is amazing!! 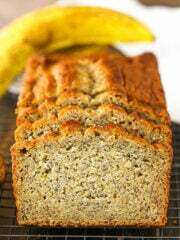 It’s moist and sweet and tart and perfect. I’m so happy I found this one! A went to a White Elephant pot luck with some old friends and someone made this bundt cake. I was full and didn’t plan to eat much. 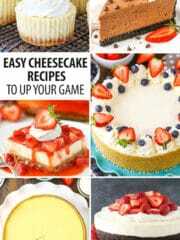 I tried a bit of this cake and it was absolutely amazing, and I am very hard to impress!! It was very moist and the frosting was delicious. 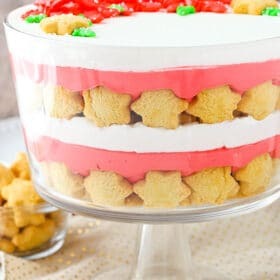 I plan to make this myself for my family over the holidays!!! Can you please clarify if the 2.5 cups of fresh cranberries that go into the batter are whole and straight from the bag, and cook during baking? I’m so glad to hear you enjoyed it! Yes, the cranberries in the batter are fresh and whole and go right into the batter. 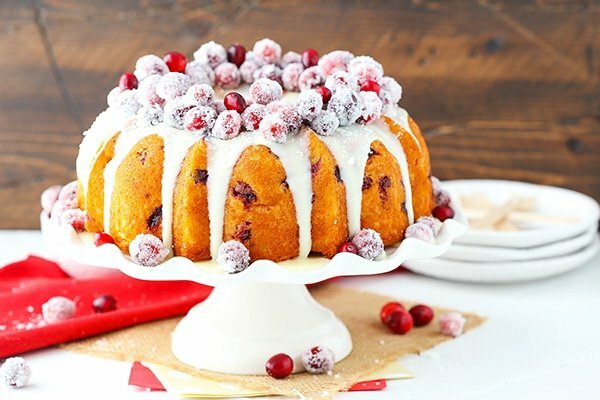 I made this cake for Christmas dinner because I think sparkling cranberries are super festive, and everybody loved it. It was SO good. I’d never made anything from your blog before, but I’ll definitely be back once I’ve recovered from holiday baking fatigue! Awesome! 🙂 So glad everyone loved it! Thanks Lauren! Hi there, I made this cake last year and loved it! wanted to make it early this week for a party on Friday (today is Monday).. was wondering if you think I can freeze the bundt and defrost on Friday? Im assuming yes, but it was so tasty last year I didn’t want to ruin it this year! 🙂 Thank you! Sorry for the delay Izzy! I would think it’d be fine, just not quite as fresh. I hope it worked out alright! I have made this cake several times and everyone loved it! Even my son’s half sister ate seconds and she doesn’t really like cake or a lot of sweets, so that was a true compliment! 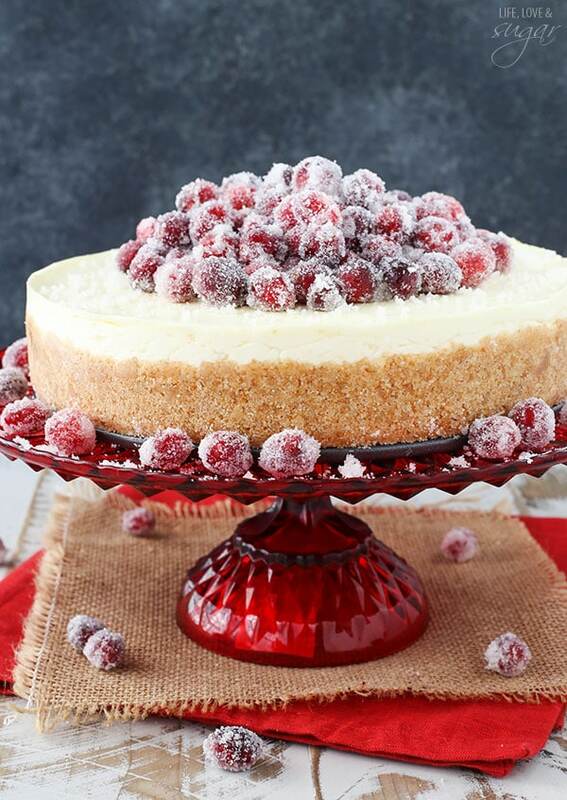 I was wondering if you wanted extra cranberry flavor, if you could make a sweetened cranberry puree and do a “poke” cake before drizzling on the icing? I wanted to see if I could get your thoughts on it? I’m glad you’ve enjoyed it! I would think that’d be fine as long as you don’t lover load it – sounds tasty! 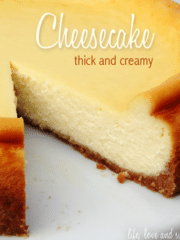 You could even drizzle it onto the bottom of the cake before flipping it out of the pan, if the sauce is thin enough.